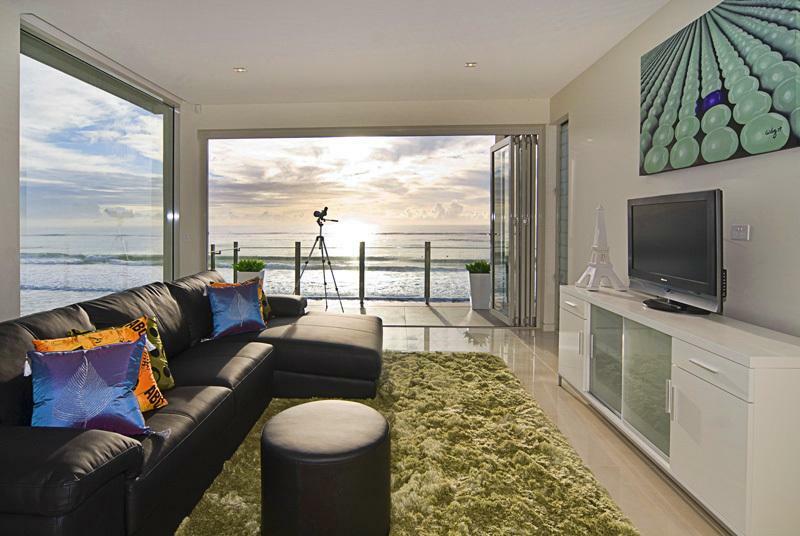 Absolute beachfront luxury on the Gold Coast Enjoy uninterrupted, 180-degree views of the Pacific Ocean from this brand new beachfront holiday home. 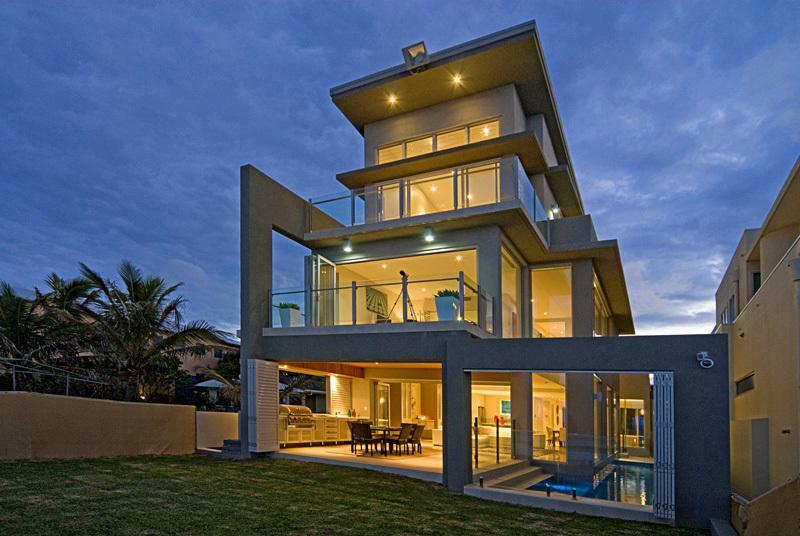 Accommodating 10 in comfort and style, this 4-storey, 550m2 mansion offers contemporary living on one of the Gold Coast's finest beaches, Palm Beach. 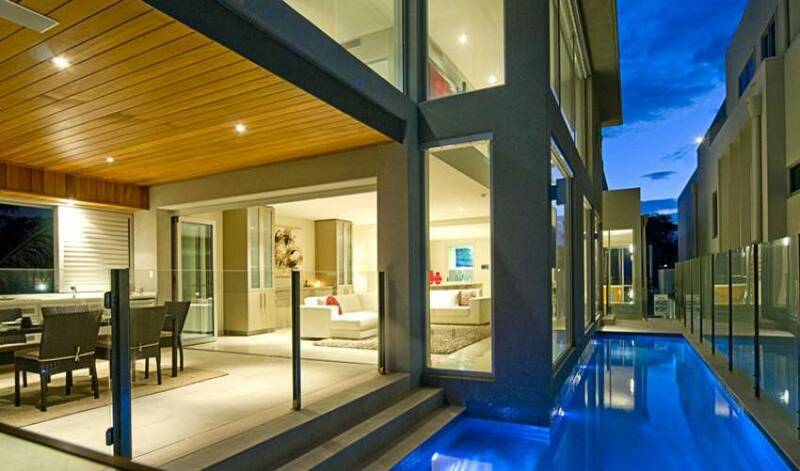 With the ocean at the back fence and your own beachfront pool, it is all about the water. 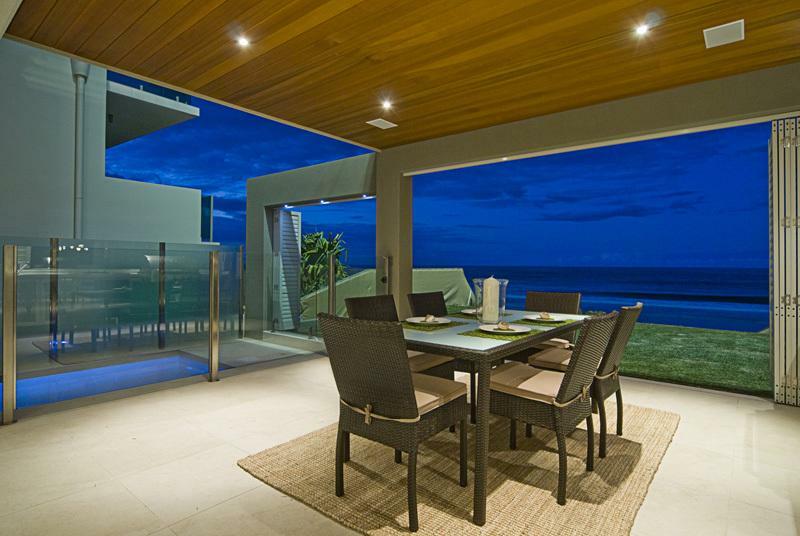 Expect 500 thread count sheets, a superb indoor/outdoor AV system, contemporary decor, bi-fold doors that open the home up to the beach and a lifestyle few will ever experience. 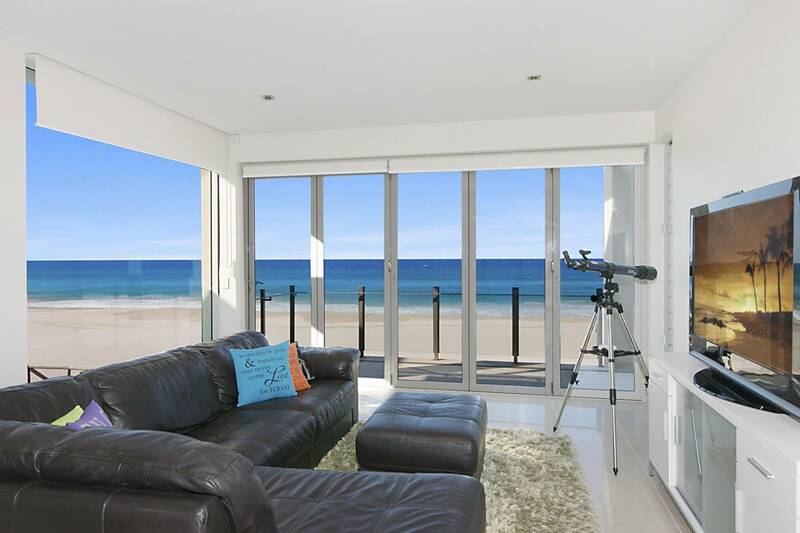 Imagine swimming in the beachfront pool while watching your children play in the surf at the patrolled beach just metres from the back fence. 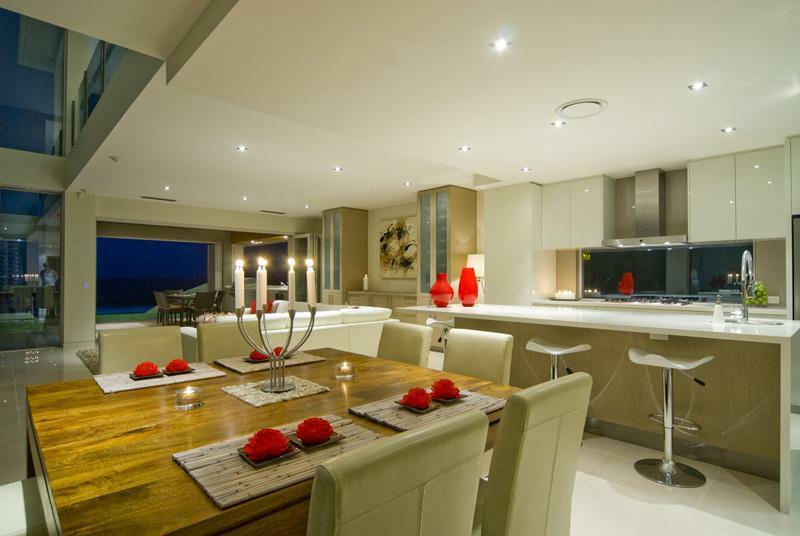 Imagine entertaining guests/friends in the villa's beachfront dining area, complete with 180-degree sea views, before bedding down in one of five bedrooms, all with ensuites. 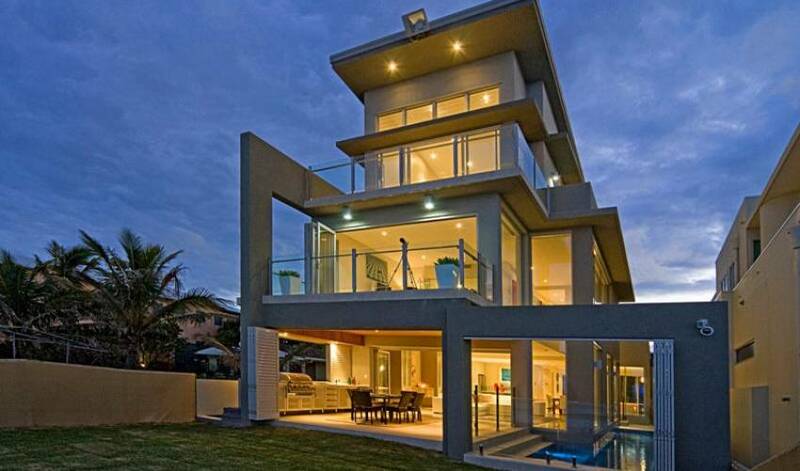 This luxury Gold Coast home is situated on Palm Beach, the most spectacular of the Gold Coast's glamour beaches. 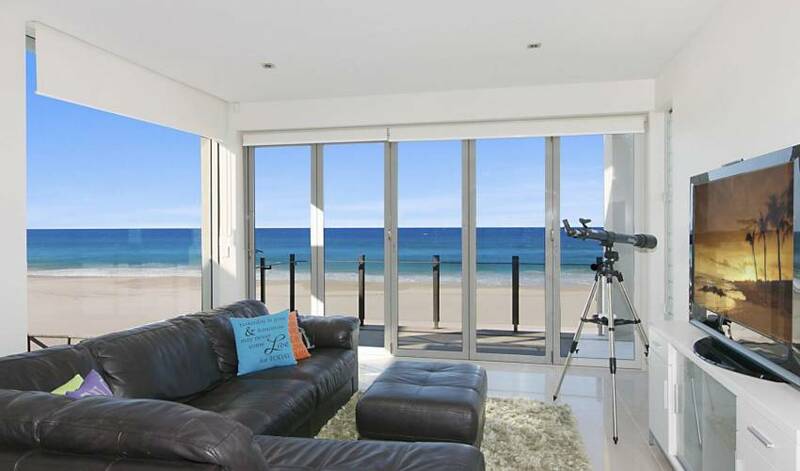 The Villa is just 7 minutes from Coolangatta airport, 20 mins from the Gold Coast's world famous theme parks, 12 minutes from some of the Coast's best golf courses, 15 minutes from Jupiters Casino and 18 minutes from Surfer's Paradise. The pristine Palm Beach is renowned for its excellent surfing and fishing (you could fish from the balcony on a king tide). 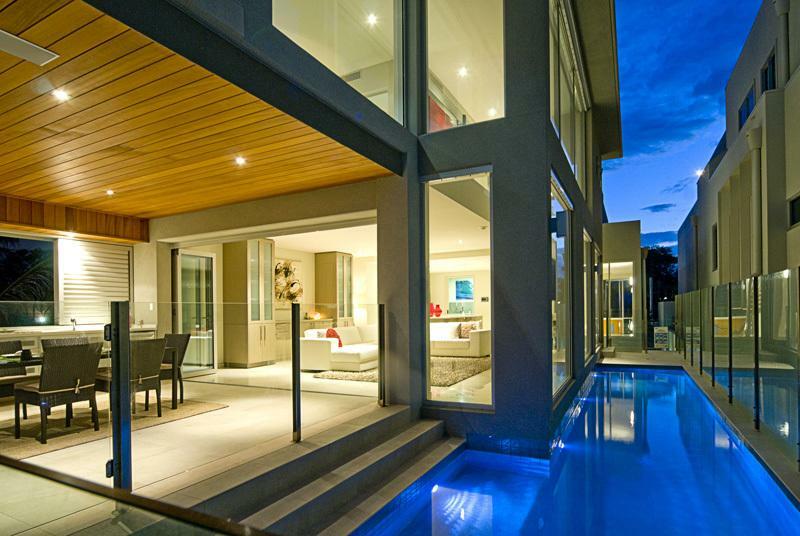 Secluded from the hustle and bustle, yet handy to all the Gold Coast has to offer, you'll enjoy the peace and tranquillity that this Villa offers. Learn to surf or boogie board. Collect shells along the beach. 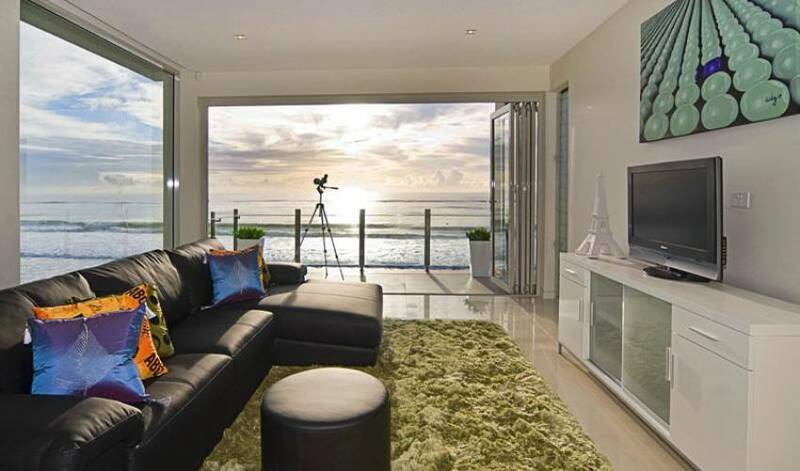 Shopping - Coolangatta, Marina Mirage, Tedder Avenue in Main Beach, Pacific Fair in Broadbeach and Surfers Paradise. 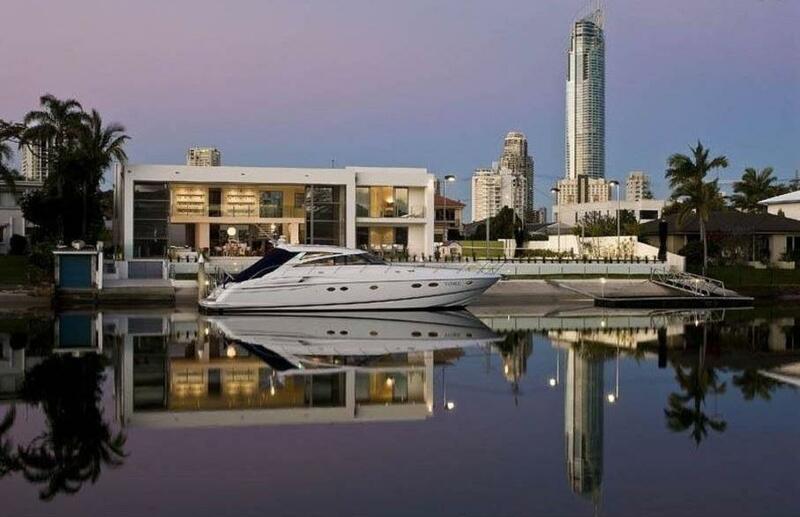 Book a Broadwater cruise or jet-ski tour. Parasail, sky dive, go-kart or hang-glide. 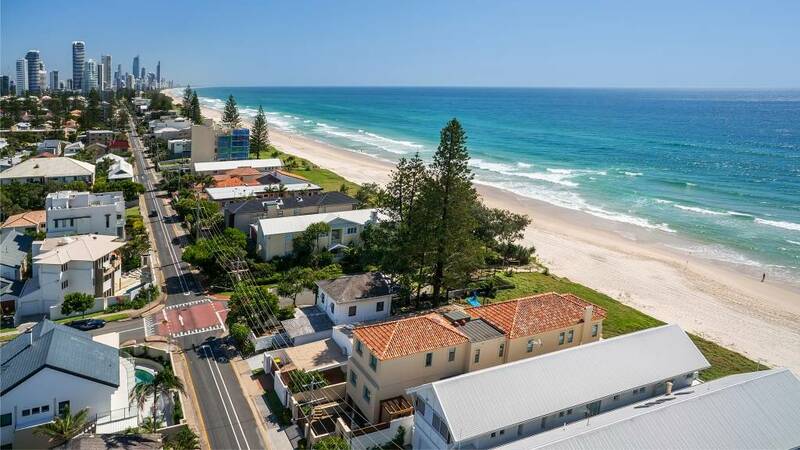 See the Gold Coast from the air via helicopter or sea plane. Catch a Marlin during summer or fish for smaller species from the beach. 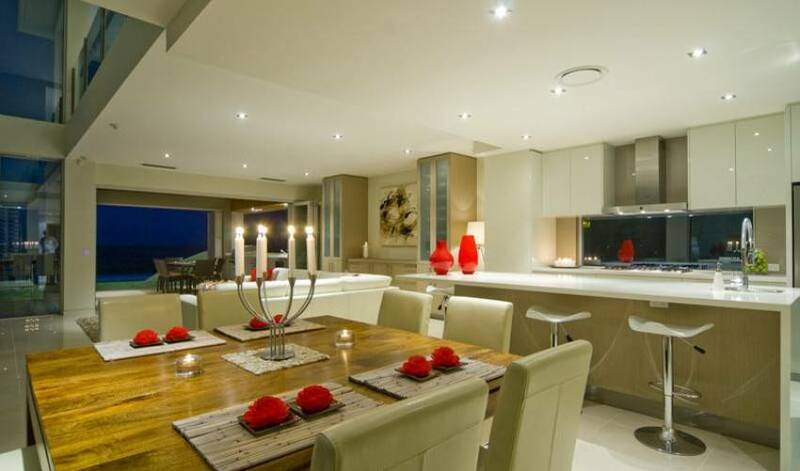 Play golf at Sanctuary Cove, Hope Island, Robina Woods, Palms Sanctuary or one of the many courses close by. 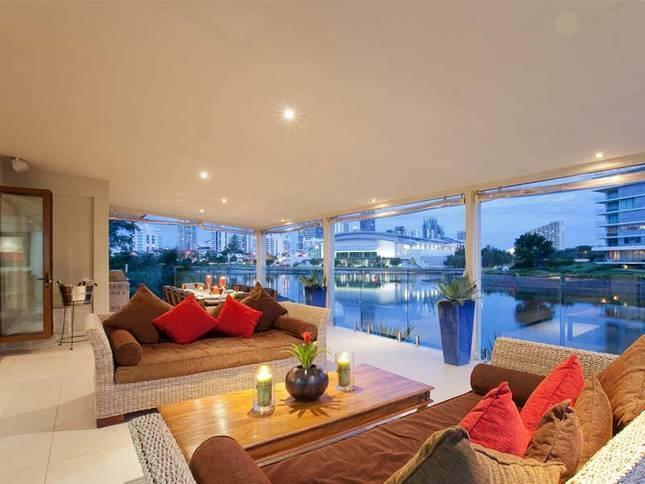 Take a punt at Conrad Jupiters Casino or Twin Towns Services Club. Walk the kids down to the sheltered waters of the Tallebudgera Creek. 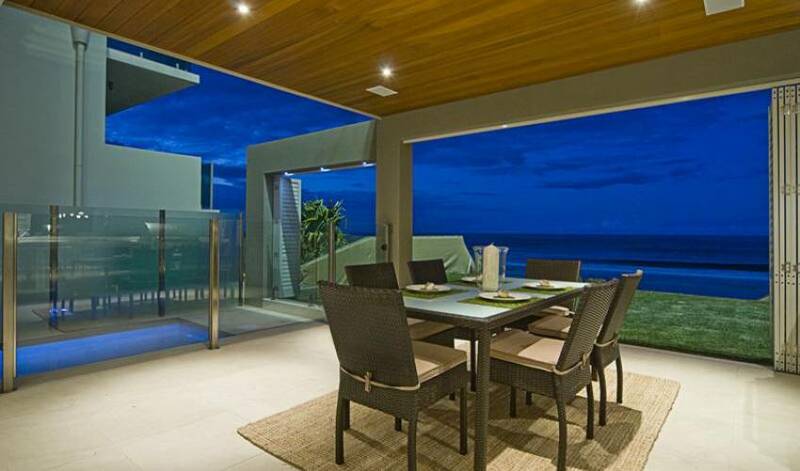 Spot satellites and shooting stars from the beach at night. Take a day trip to New South Wales. Prices quoted are per night, GST inclusive. A $490 Cleaning fee applies to each booking.